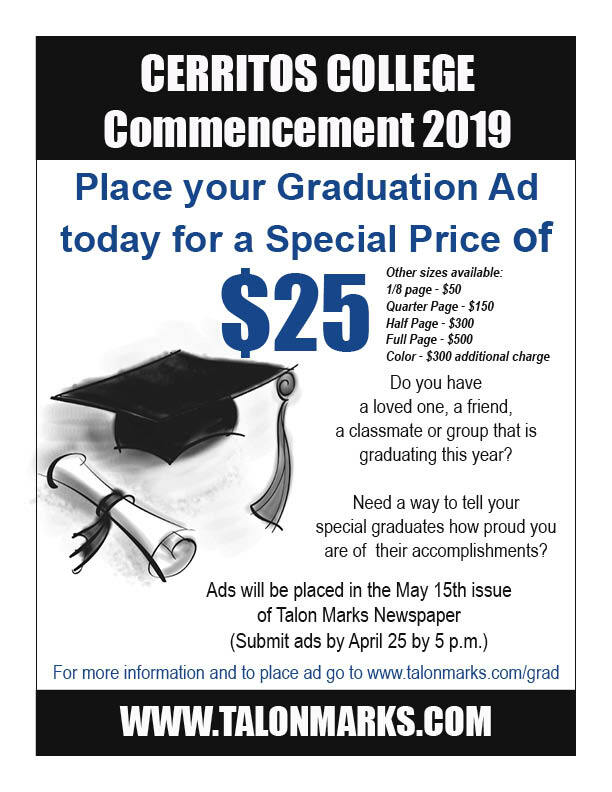 Talon Marks will be printing a special Talon Marks Commencement edition. Want to congratulate your graduate? We will have ad specials for the Commencement edition. DEADLINE to submit grad ads April 25 by 5 p.m.
To place an advertisement, please fill out form below. Our ad manager will contact you regarding ad placement and payment. Payment will be due before advertisement is printed. Form for graduation advertisements. Payment is due before the ad prints in the May 15th issue. Invoices will be emailed after placement of ad.